and the board of choice for seasoned yogis. 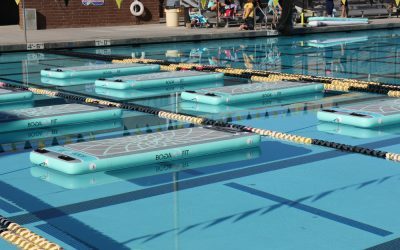 BOGA Yoga boards are designed and tested by professional SUP and Yoga Instructors who are passionate about Yoga and SUP. One of the unique aspects of working with BOGA is that the value goes beyond just having great boards built specifically by YOGI’s for YOGA. With the creation of the Floating Studio concept, we have created a community of like minded YOGI’s throughout the world from which your business can grow. There is no fee for creating a Floating Studio with BOGA, just the purchase of a fleet (6+) boards. Co-market your studio throughout our Social Media resources of 200K+ users. List your Studio on our Floating Studio Locator on our website, and reach active yogis in your area. Another unique aspect of working with BOGA is our Affiliate program. As a Floating Studio you will be exposing many people to SUP, many of which may want to pursue the purchase of a board on their own. Our program allows you to help these people access BOGA boards for purchase in a non pressured way and allows you to benefit from the sale. When you create a studio you join the BOGA family, our studios interact with each other on many levels, from co-marketed YOGA retreats to shared teacher trainings. Our community also works together on the newest ideas in running classes, anchoring, and growing your businesses. We have Floating Studios all over, from Croatia, Bahamas, Aruba, India, Sri Lanka, Japan, Canada, Mexico, Finland, South Africa, Hawaii and many more. If you want to extend your practice, many of our Ambassadors and Studios offer the best YOGA Certification programs in the world. We can introduce you to one that fits your schedule and best suits your location. As you grow and possibly start doing your own certifications you become a resource we share with new customers as well. 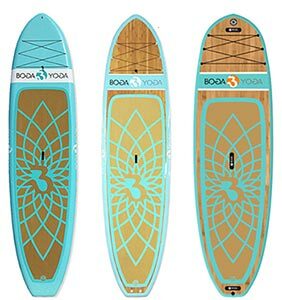 Wanderlust, with over 8 locations, uses BOGA exclusively for all their SUP YOGA so literally thousands of people are going through BOGA YOGA classes just from Wanderlust alone and become familiar with the BOGA experience.